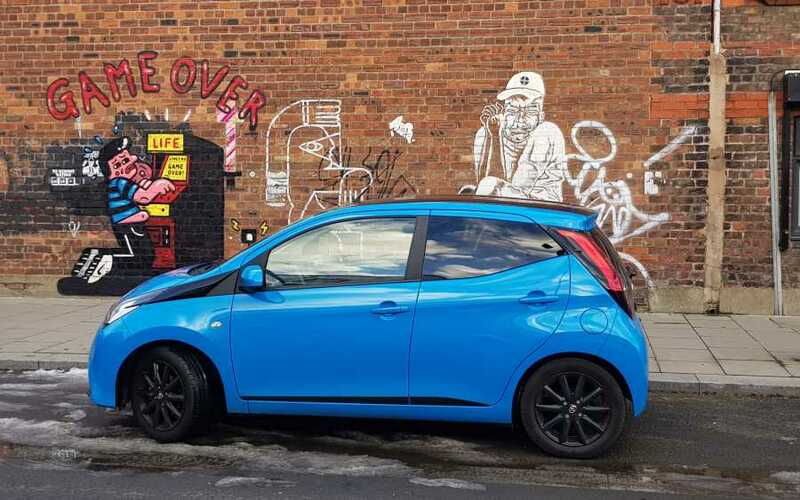 ‘X’ marks the spot like never before when it comes to the Toyota Aygo, a model originally designed to attract young urban-based motorists to the Japanese brand. 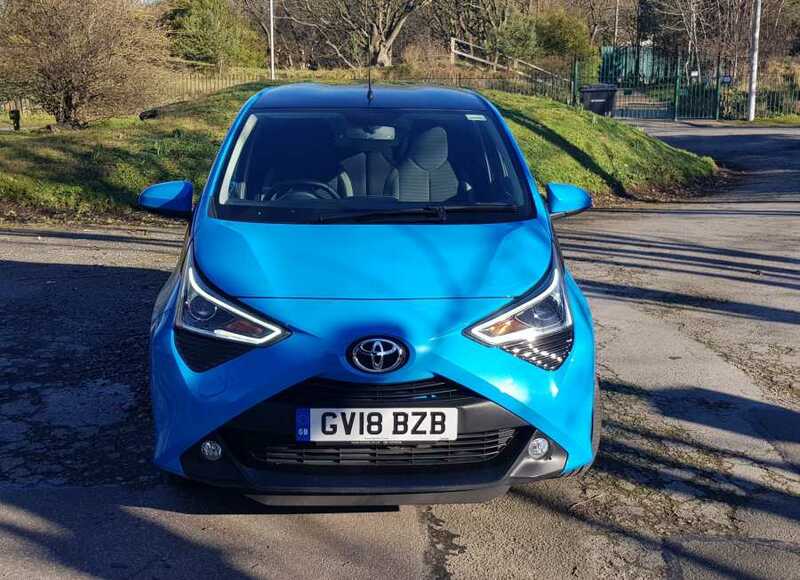 A stand-out element of the popular city car since the current generation was launched almost five years ago has been the ‘X’ design on the Aygo’s face, a feature based on Japanese youth culture. But time doesn’t stand still, and nor does Toyota, the company keeping the car fresh with new colours and localised special editions practically every year. British buyers have always been a style-conscious bunch and the little Toyota’s perky looks and engaging drive have made it a magnet for attracting new fans to the brand. And Toyota has reinforced the youthful image – with that trademark ‘X’ at the forefront of a fresh-look Aygo. So the ‘X’ has blossomed from being a two-dimensional graphic into a more powerful 3D element with a new front design sporting swept back headlamps and black, gloss black or silver trim beneath the lights. The result is a real city slicker that has an entry grade price of £9,695 and removes any petrol versus diesel dilemmas because there’s only one engine on offer. That’s a peppy little three-cylinder 1.0-litre petrol unit boasting average fuel consumption of 68.9mpg and performance that feels swifter than the official 0-62mph figure of 13.8 seconds. CO2 emissions are also low at 93g/km. 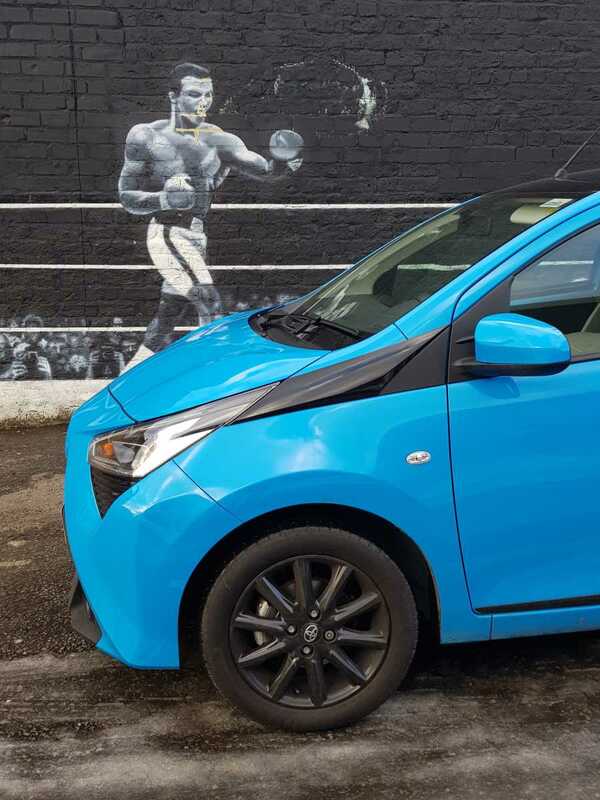 Economy apart the Aygo has some compelling design touches, each grade recognisable by different front bumper finishes, dedicated alloy wheels, contrasting interiors and bright colours – our tested model’s Cyan Splash paint job, a £515 option, a case in point. Cars are up for grabs in six trim grades, all with five doors apart from entry level x which also comes as a three-door model. 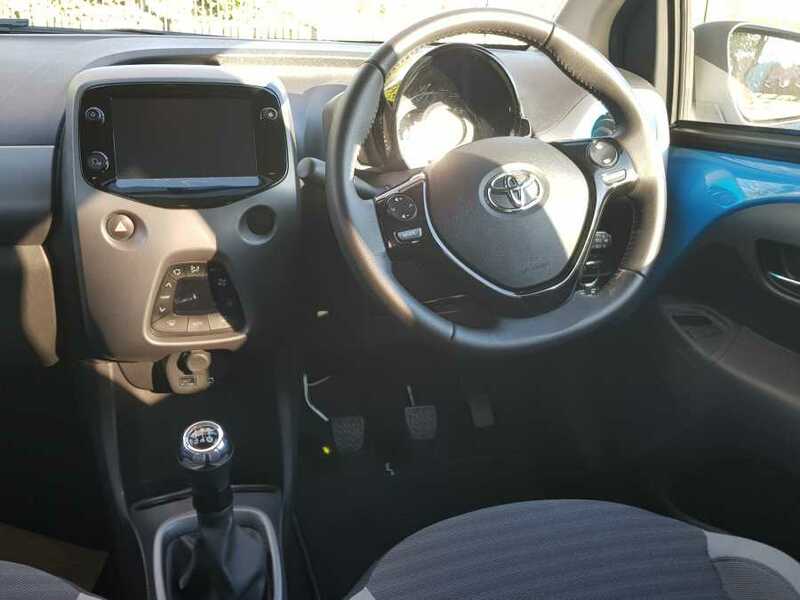 There’s handy kit like Toyota’s x-touch multimedia system with seven-inch colour touch screen while higher grades also bring in stuff like a rear-view camera and Smart Entry with push button start. And the tested Aygo x-press really looks the business with its full roof decal and coloured accents for the front and rear lips and side sills, plus striking 15-inch black alloys. The spec also includes front fog lights, automatic air con, auto headlights and rear privacy glass, though adding Apple CarPlay and Android Auto smartphone integration brings a £200 surcharge. As for space, well this is a genuine four-seater with adequate room for adults in the back thanks to a sensible degree of headroom and cutaway backs to the front seats. Just don’t expect to shift much gear apart from shopping and a couple of school bags because the boot is tiny, if deep. Buzzing through suburbs and town centres is actually a joy though and the revised 998cc three cylinder engine plays a big part in that, offering more torque at lower engine speeds. Pulling away in first and second gear has been made easier, essential for a car mainly used for city driving and both cabin noise intrusion and vibration is also kept to a minimum. 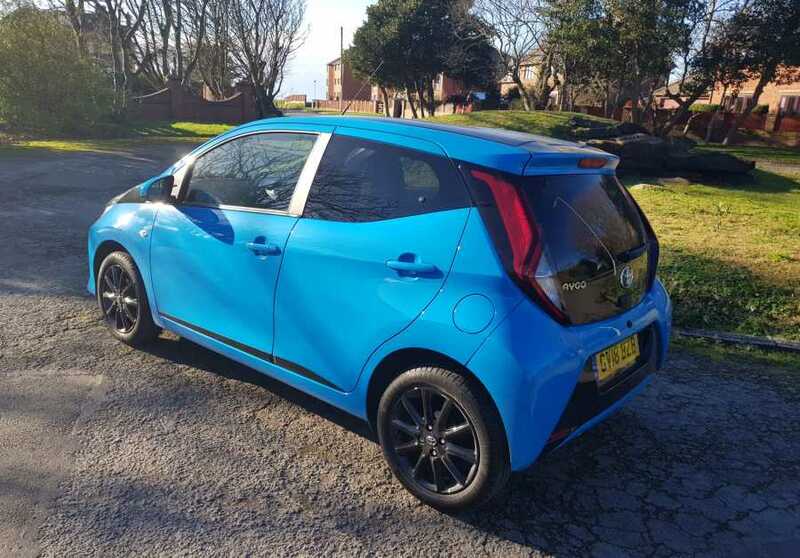 Add Japanese reliability plus a solid build quality to the mix and Toyota have completed a sterling job in keeping the Aygo fresh, cheap to run, relevant and fun. MODEL Aygo 1.0 x-press Smart. PERFORMANCE 0-62 in 13.8 secs, top speed 99mph. ECONOMY 57.7mpg Urban, 78.5 Extra Urban, 68.9 Combined. PRICE £12,630 on the road.